Ground freezing was selected to provide ground stabilization and water cut-off for the 2nd Avenue Subway expansion project. 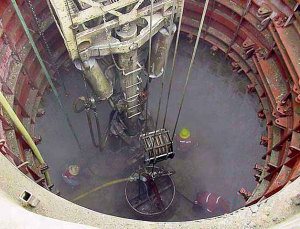 The use of ground freezing permitted safe mining operations with the TBM. 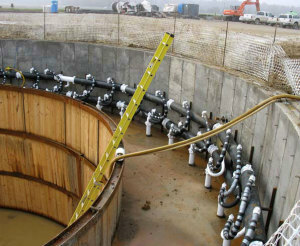 Forty, 4-inch diameter, steel closed-end freeze pipes, plus a comprehensive array of piezometers and temperature monitors, installed through the overburden soils and extending 15 feet into the underlying sound rock. 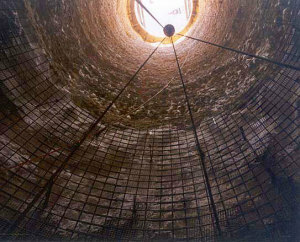 The overall project involved the freezing of four shafts excavated by conventional methods, plus an additional two shafts which were raise bored through frozen ground. 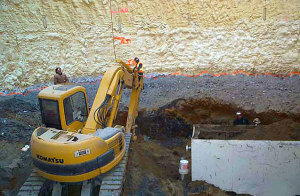 Ground freezing was the owner’s method of choice to stabilize more than 135 feet of sand and unstable mudstone overburden to ensure completely dry and stable elevator shaft excavation. 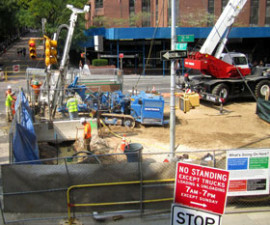 Moretrench used artificial ground freezing toprovide ground support and groundwater controlprotection at five shaft locations in midtown Manhattan. 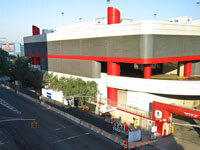 The South Tail Tunnel of the No. 7 Subway Line in NYC recently required ground freezing and permeation grouting to provide ground stabilization and groundwater cutoff.